Comments: Weekly claims came in lower at 214,000 on Thursday. That number caused the 4-week average to rise w/w. Meanwhile, the 13-week average actually dropped w/w. 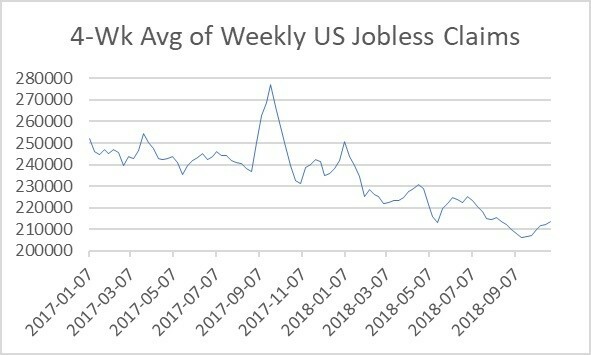 For the 4-week avg to rise next week, we would need to see the weekly number come in only above 215,000.